Current account provider ANNA has appointed award-winning creative agency Taylor Herring to lead a marketing campaign to expand on the success of their miaowing debit card initiative. 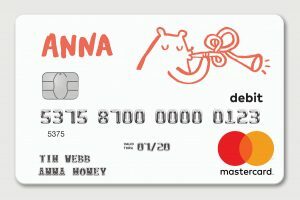 ANNA (Absolutely No-Nonsense Admin) – a mobile business account and digital admin assistant – launched its miaowing debit card in September 2018 and will partner with creative agency Taylor Herring to lead the search for a new cat to be the sound of their contactless card transactions. 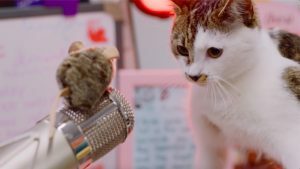 Members of the public are asked to submit a video of their cat miaowing via Facebook or Instagram with the hashtag #ANNAmiaow to be considered for the unique role. The winning cat will be recorded and given the honour of becoming the new miaow that plays when the debit cards are used for contactless payments. The miaowing debit card was introduced to help business owners keep on top of their spending as it emits the high-pitched sound every time the card is used. ANNA champions no nonsense customer service with a simple 24/7, UK-based in-app chat feature. Ideal for small business owners, side hustlers and freelancers, their features include creating sales or purchase invoices for customers, and politely chasing up payments due from sales invoices. ANNA is open to any UK resident who is a director of a limited company and non-limited businesses that are structured as a partnership or sole trader.